“The gift that truly never stops giving…. 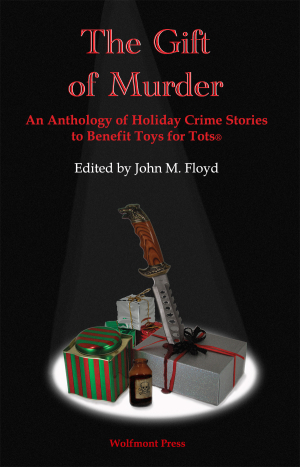 For the fourth year, generous authors have graciously contributed their time, efforts and creativity to raise money for a very worthy effort–making children happy. This year (2009) nineteen talented authors and one very talented editor have put their skills together and produced a very remarkable book.” Stories by J. F. Benedetto, Stefanie Lazer, Stephen D. Rogers, Anita Page, Randy Rawls, Earl Staggs, Peg Herring, Deborah Elliott-Upton, Bill Crider, Carolyn J. Rose, Elizabeth Zelvin, Barb Goffman, Austin S. Camacho, Sandra Seamans, Steve Shrott, Gail Farrelly, Herschel Cozine, Kris Neri, and Marian Allen. Edited by John M. Floyd.